Spanglish is the simultaneous use, or alternating of both, traditional Spanish and English within the same conversational event. This interlanguage is commonly used in U.S. populations with large percentages of Spanish speakers. Despite the popularity of this dialect, and the wide spread of automated voice systems, currently there are no spoken dialog applications that can process Spanglish. 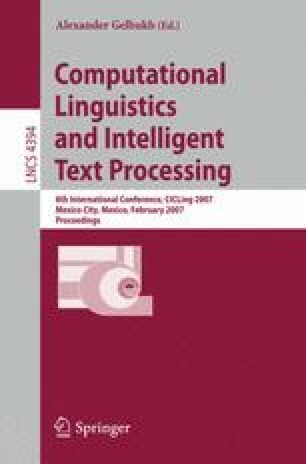 In this paper we present the first attempt towards creating a Spanglish language model.